Decision makers across the manufacturing space are fed up with botched Enterprise Resource Planning (ERP) Implementations. Majority of manufacturers are stuck with implementations that are over budget and/or behind schedule. After a certain point, companies are prepared to pull the plug on the entire operation. As a leader, what do you do at that point? According to CEO Ruben Mirensky, you call IMCO Software. IMCO has put together an innovative team of consultants who specialize in turning troublesome ERP lemons into fresh lemonade. 86% of live ERP implementations report not attaining original goals. 92% of present ERP implementations report being substantially behind schedule and/or having budget overruns. 34% of ERP projects are closed before completion without attaining core functionalities stated at inception. These numbers represent a huge financial loss in regards to time, labor, and training. The most common scenario manufacturing companies are faced with is not meeting or beating initial goals. This often creates an environment where team members start “finger pointing” trying to find a scapegoat to blame. What causes this to happen? For some, it is caused by not having items completed correctly before beginning the project itself. We are all familiar with the phrase “Dot Your I’s And Cross Your T’s”. This simple idiom contains so much truth in regards to ERP implementations. Why? ERP Implementations require a concrete foundation before starting. If your data isn’t correct, your project goals will be unrealistic and your strategy will fail. Most manufacturer’s waste time by applying a “Band-Aid” type of fix instead of utilizing a sustainable solution like what IMCO Software is offering. ERP implementations require substantial investments. This may seem like an obvious statement, but statistics show that many projects fail because leadership underestimated the time that was needed to invest in training. Every employee from the supervisors to operators on the floor require training on the new ERP software. This can make or break an entire project timeline. There is a consistent trend that leads to those three mistakes listed above. Do you know what it is? The future needs of the company were not considered before starting the ERP project. We’ll discuss this idea more in the next point. Proper planning in the analysis phase is key for having a successful ERP Implementation. Many manufacturers are forced to close ERP projects before completion without attaining any core functionalities because something was overlooked during this phase. Once a red flag appears during the design phase, leadership is forced to make a decision on whether to continue working on the project or close it. IMCO Software CEO Ruben Mirensky considers this to be the most troublesome element for businesses dealing with an at-risk implementation. It is extremely difficult to overcome obstacles in these ERP project phases without outside help from knowledgeable consultants. Before closing ERP operations entirely, Mirensky recommends contacting his team to make the most of what your company has remaining (aka taking lemons and making lemonade). 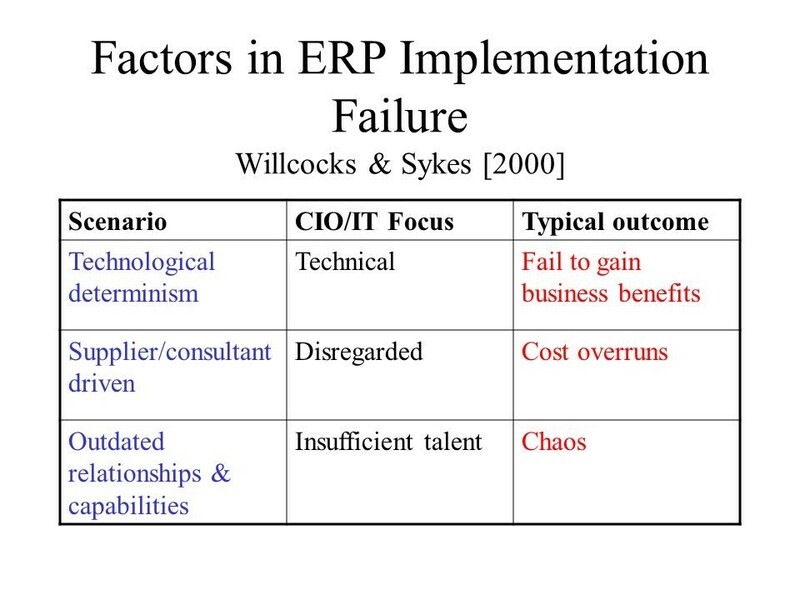 According to the IMCO Software CEO, “The most productive thing to do when ERP implementations get into trouble is to find a solution instead of playing the blame game.” Mirensky’s company provides manufacturers the opportunity to salvage at least some of the time, labor, and training already invested into the ERP implementation project. So now comes the main question, how does IMCO Software make lemonade? IMCO’s expert team of consultants provides companies an affordable solution when dealing with troubled ERP Implementations. According to IMCO Software’s website, “Our consultants have developed an expertise in bringing projects to their best possible conclusion.” How? They have a strong track record for utilizing the ERP project AS IS. IMCO Software adopts whatever ERP system you chose during the analysis phase. Their innovative team then adapts to the original project design to finalize the cut-over phase at a minimum cost. If your ERP implementation is at-risk, and your company is ready to transform ERP lemons into fresh lemonade, contact IMCO Software today.